The Corcoran Gallery of Art and College of Art + Design‘s newly announced “plans to ensure its long-term stability and attain a new level of vitality and excellence” seem anything but. Indeed, given the desperation and illogic of its announced ideas for addressing its capital and fiscal shortcomings, the survival of this institution seems more precarious than ever. Overshadowed in Washington by the Smithsonian museums and the National Gallery of Art, the Corcoran Gallery has long struggled for audience, funding, a sense of purpose, and effective, consistent leadership. In what sounds more like a last-gasp gambit than a sound strategy, the Corcoran plans to “consider relocating to a purpose-built, technologically advanced facility that is cost-effective to maintain. In order for the Trustees to decide whether relocation is a viable option, the Corcoran will need to determine the market value of the building. If ultimately a decision is made to relocate, we are committed to reconstituting the Corcoran—both the Gallery and College—in a space that is more flexible and that will allow us to fulfill our mission.” That space could be in D.C., Maryland or Virginia, the announcement says. 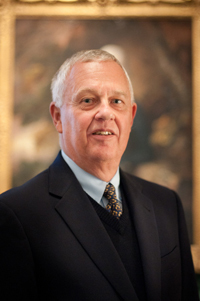 The statement is signed by Corcoran’s director and president Fred Bollerer, and its board chairman, Harry Hopper, who have invited the public to comment at feedback@corcoran.org. Urgent save-the-Corcoran e-mails are circulating among supporters of the endangered institution. Two former staffers have given me permission to excerpt their analyses and recommendations. dismissed as irrelevant in the 21st century museum world. —Move the school out of the Corcoran Beaux-Arts building to stand alone or join with an accredited university in the space it needs to thrive, preferably in D.C. [It is] cheaper to build/buy/restore a school facility than a museum. —Make the Corcoran museum the premier American art collecting and exhibiting institution it deserves to be. Possible scenarios: affiliate with American University, or with the Smithsonian American Art Museum/National Portrait Gallery; a stand-alone that is in partnership with National Gallery of Art/National Portrait Gallery/Smithsonian American Art Museum/Hirshhorn Museum, through collections sharing/exhibiting, guest curators, guest exhibit organizers, rotating curatorships. In desperate circumstances such as the Corcoran’s, one always has to worry about the fate of the collection. And the Corcoran’s history of disposals (self-described as “refining and strengthening” the collection) exacerbates those concerns. The recent deaccessions includes 10 American paintings offered at Christie’s in December 2008 (described in this post) and Benjamin West‘s “Cupid and Psyche,” 1808, sold by the Corcoran on Jan. 28, 2009 for for $458,500. Last year, concerned readers brought to my attention the Corcoran’s Nov. 22 disposal at Christie’s of majolica from the Corcoran’s William Andrews Clark Collection, a mainstay of its European holdings, bequeathed to it by the Montana Senator in 1925. My tipsters believed that Clark had placed a no-sale restriction on his benefactions. The Clark majolica had been the subject of a catalogue and traveling exhibition organized by the Corcoran and Mount Holyoke College Art Museum in 1986-89. Some 14 Clark pieces (lots 55-57, 59, 60-62, 64-66, 68-71) found buyers at last fall’s sale. As it happens, two more are being sold tomorrow at Christie’s European decorative arts sale (lots 212, 213). —I believe that Clark may have stipulated that his donated works were not to be sold. Is that accurate? —If there were restrictions, how do you justify the sales? —Did you seek court permission to deviate from the terms of the gift (if you did, in fact, “deviate”)? —Are any future Corcoran disposals planned? If so, please tell me what and when. It seems to me that the last thing that a fiscally foundering art institution should do is devote extensive efforts and financial resources to a big capital project, at a time when its past actions are unlikely to inspire donor confidence. The Corcoran needs to rebuild before it can build. For more background on the Corcoran’s predicament, see this piece by David Montgomery and Jacqueline Trescott in the Washington Post; a WaPo follow-up today by Montgomery and Lonnae O’Neal Parker; and two articles by Kriston Capps in the Washington City Paper, which broke the Corcoran story before the official announcement, and then followed up.